I think if I had to pick only one way to get in shape, it would be with video games. I’ve always been a fan of games; I had the first Nintendo GameBoy when it came out, the Super Nintendo system and the Sega Genesis system, and over the years, I’ve kept up my title as a gamer. It’s no surprise though; my parents were gamers too. They still have their vintage Atari system! I’ve shared before how I use video games to keep in shape, and thanks to the release of the new Just Dance 4, winter will be filled with me sweating like a hog in my living room and dancing like Rihanna. The weekend of it’s debut, I had the husband take me to the store to purchase it. I was so excited about our purchase, that I had to instagram it! Isn’t it pretty?! While I’m excited that I had it when it came out, I wish I would have waited a bit. 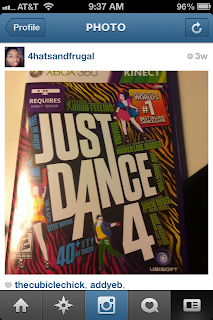 There are sales left and right for video games now, and today, Amazon has Just Dance 4 as it’s Gold Box Deal of the Day. As any frugalista knows, an Amazon deal is always a good deal. 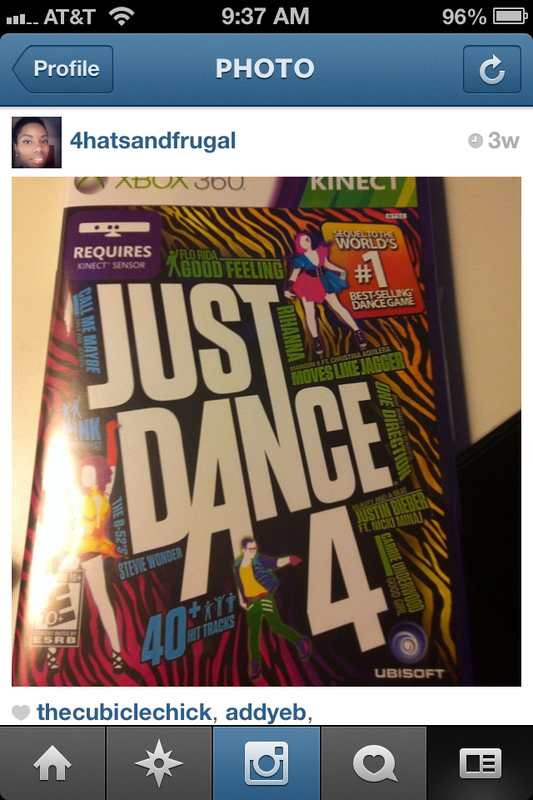 So if you have a gamer who likes to move and groove, make sure to grab up this game. And let them know, Rihanna’s “Umbrella” level is freaking awesome.